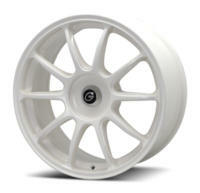 The Genesis Line rims are developed entirely by Cavaro team. These rims were designed in Belgium in cooperation with our manufacturers; This way we could bring these beautiful wheels on the market. The structure of these rims is intended to develop a rim that fits for many cars. The rims are technically developed so that we can ,even for cars with the biggest brakes and low offsets, make a perfect set of rims. This is also our flagship and we are proud that we can offer these rims to you. Each car is always a unique project, we can always supply a perfectly tailormade set of rims.This gives a great satisfaction to our customers and the first set of wheels ordered, will be in most cases not the last they order. Our machines work on 0.003 mm accuracy and always fit on the car.